Let Us Make A Fair All-Cash Offer on Your San Bernardino House. We Buy Houses in San Bernardino CA and All Over Southern California…in Any Condition and at Any Price. Are your saying “I need to sell my house fast in San Bernardino CA?” Then Check Out How Our Selling Process Works. We buy houses in San Bernardino CA and we’re ready and able to give you a fair offer for your house. We are a solutions-based company here in Southern California and we can help you get out from under your unwanted property. We buy houses in San Bernardino CA. Let us buy your California house now, regardless of its condition or the situation your may be facing. It doesn’t matter if you’re trying to avoid foreclosure, moving to another city, going through divorce or have a house that needs costly repairs. It doesn’t matter if you live in it, rent it out, it’s sitting vacant or if it’s not even habitable. It doesn’t matter to us what your situation is…we can help you find the best solution to your unique problem situation. Do You Need to Sell Your House in San Bernardino CA? Even if you’ve already tried to sell your home with an agent but failed, we can help. There are times when selling a house the traditional way through a real estate agent is not the best option. It requires a lot of time, effort and patience to prepare a house and list it for sale. It can take many months to sell, even up to a year, if it sells at all. All that hassle creates stress and adds months to the process, and after paying the agent’s expensive commission, you may or may not be ahead of the game. We buy houses in San Bernardino CA like this one on Sierra Way. Sell you house today for cash! We buy houses in San Bernardino CA. Now you can bypass the whole awkward process of having to show your house to an endless stream of buyers, parading through your home and your personal space. You will only have to show it to us once. And, we will close on your time frame, so you don’t have to wait and hope your house will sell. When we buy your house, you can rest assured that it is sold and you can move when it’s convenient for you. By-Pass the Hassle of Fixing and Listing Your Home. We Buy Houses in San Bernardino CA Fast for Cash. Once you agree on the price and terms of your purchase contract, you will then begin the escrow process. There are 3 major obstacles that can send you back to the negotiation table or derail your sale entirely: Home Inspection, Appraisal, Loan Approval. Timeline: 30 to 60 days. Home Inspection – Soon after you open escrow, the buyer will hire a professional home inspector who will spend 3 or more hours going through every nook and cranny of your house looking for problems. The appraiser works for the buyer and will always find problems which will be listed in a long and very detailed report. The buyer will then come back to you and want you to repair the items, reduce your price or some combination of both. If the repairs are extreme, they could cancel the deal completely. Appraisal – The buyer’s lender will order an appraisal of the property. If the appraised value of the house comes in at the sales price or higher, everything is fine. But if the value comes in below your sales price, then the lender won’t approve the loan and the buyer will want you to lower your price to the appraised value. Loan Approval – During escrow, the buyer will have a certain amount of time to get loan approval (standard is 17 days), called a contingency period. Lender guidelines have become increasingly stricter and loan approval can be a long drawn out process, significantly extending your escrow period. If the buyer can’t get loan approval, the deal is dead, and you must start the whole process over again. We eliminate the need to Prepare your house. We buy houses in San Bernardino Ca As-Is which means you won’t have to clean or repair anything or waste time finding an agent. We make the escrow quick and easy. You can close in as soon as 10 days if you need a quick sale, or longer if you need more time. And, we use our own money and don’t need loan approval from a bank. 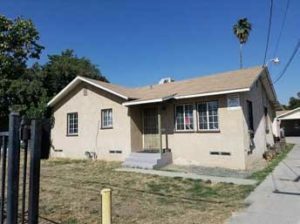 We buy houses in San Bernardino CA fast and we’d like to make you a fair cash offer and close when you’re ready! No matter the condition of your house – your situation – or time frame…our goal is to make your life easier and help you get out from under that property that’s stressing you out… while still paying a fast, fair, and honest AS-IS price for your San Bernardino home. We help property owners just like you, in all kinds of situations. From divorce, foreclosure, death of a family member, burdensome rental property, and all kinds of other situations. We buy houses in San Bernardino CA and throughout the San Bernardino County area. Sometimes, those who own property simply have lives that are too busy to take the time to do all of things that typically need to be done to prepare a house to sell on the market… if that describes you, just let us know about the property you’d like to be rid of so you can sell your house fast in San Bernardino CA. San Bernardino is a city located in the Riverside–San Bernardino metropolitan area(sometimes called the “Inland Empire”) and that serves as the county seat of San Bernardino County, California, United States. As one of the Inland Empire’s anchor cities, San Bernardino spans 81 square miles (210 km2) on the floor of the San Bernardino Valley and as of 2017 has a population of 216,995. San Bernardino is the 17th-largest city in California and the 102nd-largest city in the United States. San Bernardino is home to numerous diplomatic missions for the Inland Empire, being one of four cities in California with numerous consulates (the other three being Los Angeles, San Diego, and the greater metropolitan San Francisco Bay Area including San Jose and San Francisco). The governments of Guatemala and Mexico have also established their consulates in the downtown area of the city. The city of San Bernardino is one of the oldest communities in the state of California, and in its present-day location, was not largely settled until 1851, after California became a state. The first Anglo-American colony was established by pioneers associated with The Church of Jesus Christ of Latter-day Saints or Mormons. Following the Mormon colonists purchase of Rancho San Bernardino, and the establishment of the town of San Bernardino in 1851, San Bernardino County was formed in 1853 from parts of Los Angeles County. Mormon colonists developed irrigated, commercial farming and lumbering, supplying agricultural produce and lumber throughout Southern California. The city was officially incorporated in 1857. Later that year, most of the colonists were recalled by Brigham Young in 1857 due to the Utah War. Once highly regarded in early California, news of the Mountain Meadows Massacre poisoned attitudes toward the Mormons. Some Mormons would stay in San Bernardino and some later returned from Utah, but a real estate consortium from El Monte and Los Angeles bought most of the lands of the old rancho and of the departing colonists. They sold these lands to new settlers who came to dominate the culture and politics in the county and San Bernardino became a typical American frontier town. Many of the new land owners disliked the sober Mormons, indulging in drinking at saloons now allowed in the town. Disorder, fighting and violence in the vicinity became common, reaching a climax in the 1859 Ainsworth – Gentry Affair. We buy houses in San Bernardino CA 92401, 92404, 92405, 92407, 92408, 92410, 92411, and all across Southern California. If you need to sell your house fast in San Bernardino CA, connect with us… we’d love to make you a fair no-obligation no-hassle offer. Take it or leave it. You’ve got nothing to lose.